India has the highest number of human trafficking victims in the world. According to the Global Slavery Index there are more than 18 million victims of human trafficking in India, which is five times greater than any other country and accounts for 1.4% of its population.1Teams of volunteer physicians and nurses from Dignity Health have been invited to India to provide training on human trafficking to health care teams.The first team went to India in April 2018 and the next team is scheduled to go in February 2019 to share their expertise with those in the health care field. The trainers on these teams have extensive experience in providing care to victims of human trafficking and include physicians from our Medical Safe Haven clinic at Methodist Hospital and forensic nurses from our Center for Assault and Treatment Services (CATS) at Northridge Hospital.Following the first training, many of the participants in attendance felt the information presented was critical to their work and expressed an urgency to get this information out to additional health care personnel throughout India. Physicians and staff in rural areas have difficulty attending in-person training, so Dignity Health is creating an online training module.Dignity Health has partnered with Christian Medical College (CMC) Vellore and Emmanuel Hospital Association (EHA) to adapt the HT 101 content for the Indian context and to provide dissemination of the training. The online training module is currently under development, with the help of our Learning and Organizational Development team. Dignity Health is partnering with Indian hospitals and community based organizations in two areas. Training on how to respond to victims in a healthcare setting. Building capacity of the rural hospitals to provide access to care, thereby preventing healthcare debt, which a major driver of human trafficking. 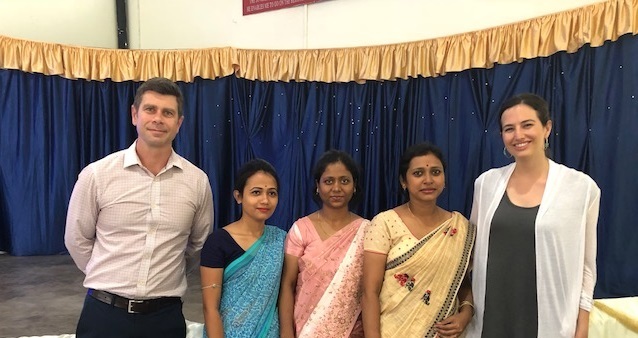 The first volunteer team of two physicians and two nurses went to India in April 2018 and a second team in February 2019. 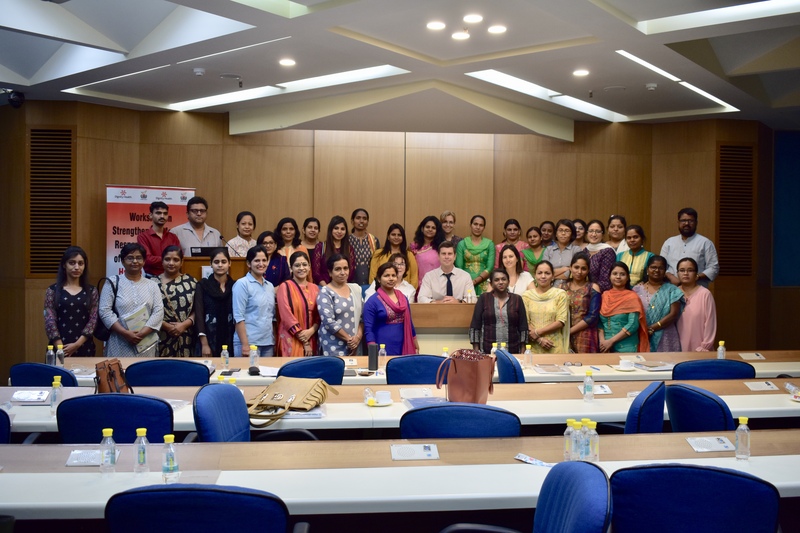 They provided training for Indian healthcare professionals on trauma-informed care and how to conduct forensic exams. An online training module is being developed to provide information on the role of health care in addressing human trafficking in India. For questions or more information about any of these programs please contact Petra Linden, Director for International Health & Human Trafficking, petra.linden@dignityhealth.org. © copyDate Dignity Health. All Rights Reserved.